Alabama public schools have an OBLIGATION to provide a sound education for all students. 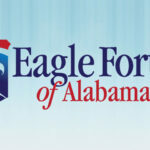 The proposed Alabama 2019 Course of Study Mathematics acknowledges that “Like more than 40 other states across the nation, the 2019 Alabama Course of Study: Mathematics builds on the Common Core State Standards.” This proposal doubles down on the Common Core approach, which has been a historic failure in our state as well as in the rest of the country. Common Core was supposed to improve Alabama math education but on the most recent ACT math test (2018), our high school students scored lower than all but three states. Similarly, Alabama ranks nearly last among states in mathematics on the 2017 NAEP test (only one other state performs slightly worse). 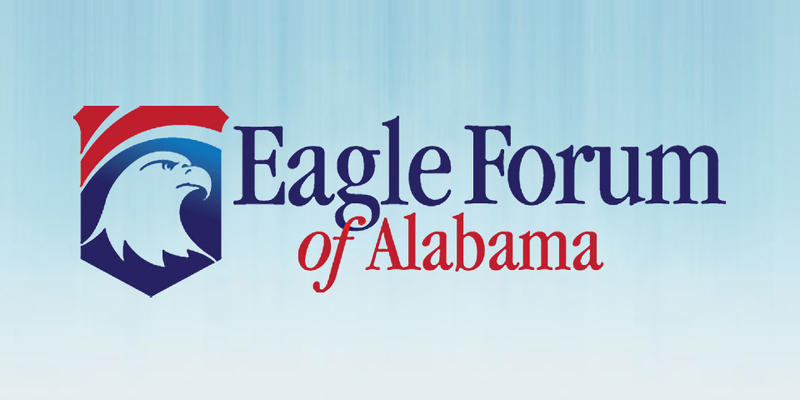 Common Core’s lack of success in Alabama is not unique. 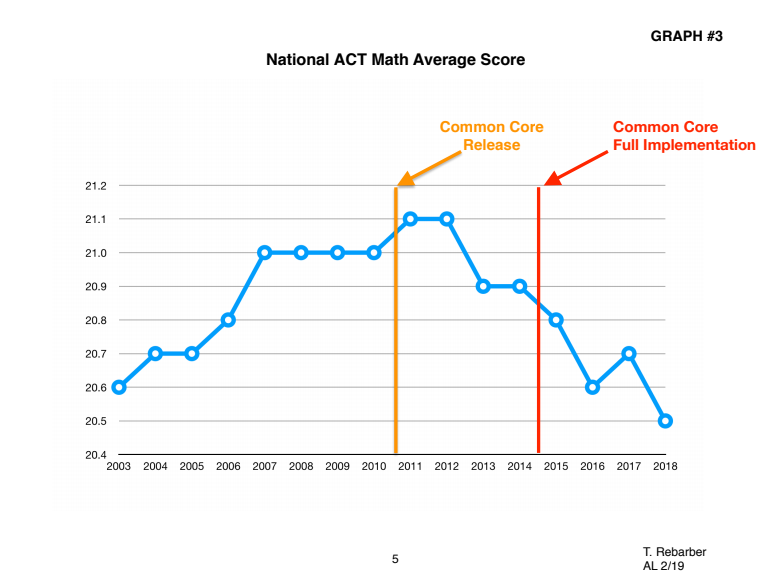 Before Common Core was adopted by nearly all states, national ACT math scores were slowly increasing but after Common Core the national scores declined! 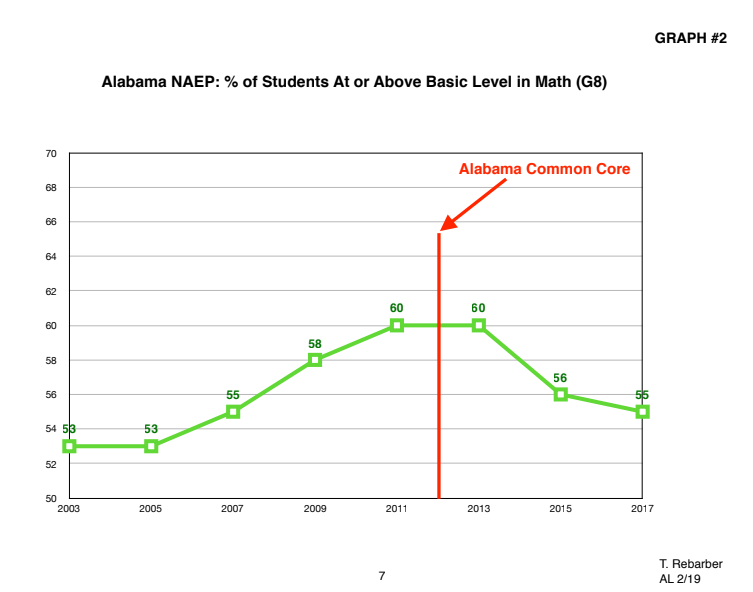 (Attached Graph #3) Alabama’s math achievement problems since we adopted Common Core are not the fault of our students or our teachers, nor are they due to insufficient funding—they are due to Common Core. Instead of staying with the failed Common Core or adopting the untested proposed high school curriculum, why doesn’t Alabama adopt a proven math curriculum? Minnesota never replaced its respected math curriculum with Common Core and scores first among the states that administer the ACT math test to all high school students. Alabama should consider adopting the Minnesota math curriculum standards. In our Republic’s federalist system, the states are to be laboratories of democracy where we can learn from one another. Our State Board of Education has a golden OPPORTUNITY to take our students from frustration to first place alongside Minnesota. Please encourage Board Members including Gov. Ivey to adopt the proven Minnesota math standards and ditch Common Core at their meeting on March 14th.